This project comprised the replacement of 32,000 wooden sleepers with concrete sleepers. Also undertaken were associated works including pre-works, methodology development, undercutting, turnout removal, level crossing reconditionings and straight railing. 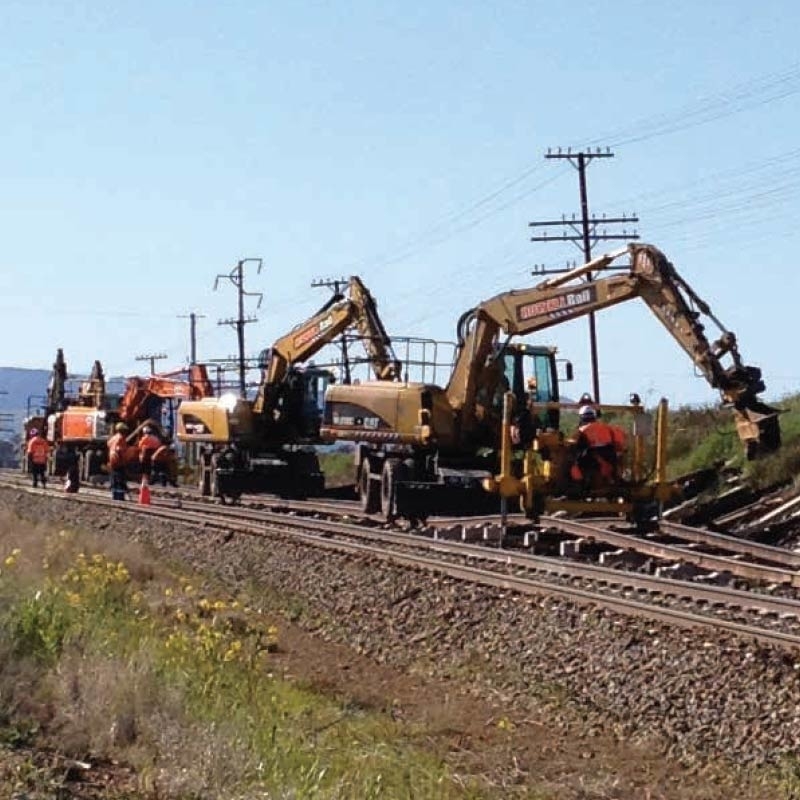 McLeod Rail supplied labourers, ballast train crews, supervisors, project managers, vehicles, hi-rail excavators and attachments, weld crews and all other site personnel, from project engineering to project management. Post project clean-up works were also included in the scope.